Just for fun i hacked a short program for Atmega that prints all the stuff that comes in at the UART to a 4×27 character LCD. The lines are wrapped automatically. 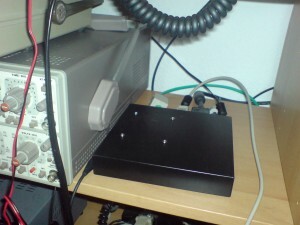 Different baudrates can be selected via 3 input pins. Unfortunately printing to the display is not fast enougth. For that reason characters get lost if you send the complete input for 4 line at once in case a UART speed greater than 19k2 is used.